fighting for her future. 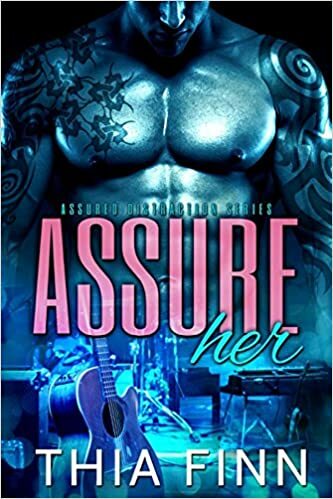 Can she show this bad boy the man he’s meant to be? my past is written on the walls: ESHB. hipster gringo mentoring me in a new career. An ex-con making craft beer? No mames. remember Vanessa from the old days, the straight-A student with big plans. bulletproof. Now Vanessa knows better than to believe in empty promises. There’s fire in her . . . and if I touch her, I might get burned. 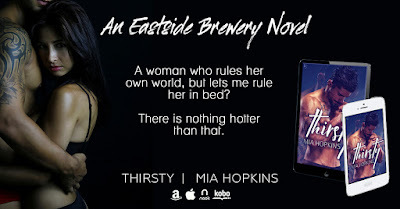 Mia Hopkins is a “new to me author”, I have had a lot of those lately and she absolutely blew me away with Thirsty! 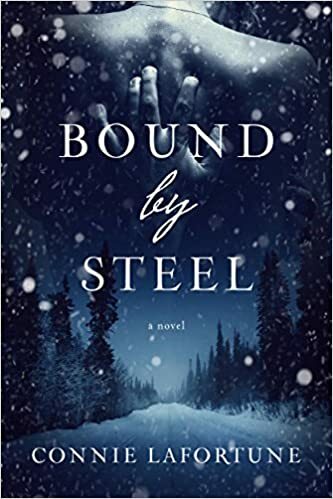 It is raw, gritty, filled with emotion and had my heart full of empathy for these characters trying to muddle through all the mistakes they made in the past and the life that they were born into. 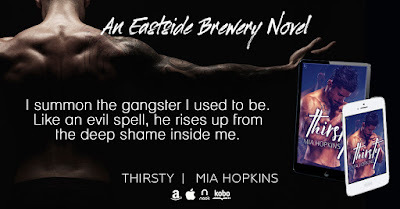 Mia shows us through Sal and Vanessa’s eyes that the world can be a hard place and the gangster life is cruel and predictable for a hard fall but love has the ability to heal, forgive, and soften any blow life gives us. 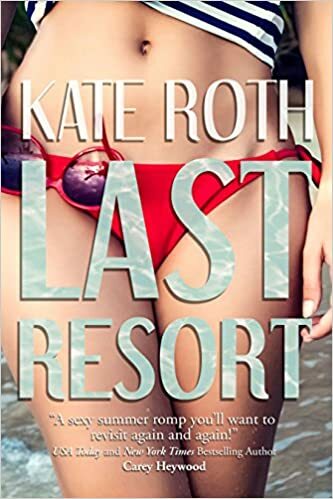 Salvador Rosas is born from a long line of gangsters with no hope of getting away. The ESHB own him and he knows it. 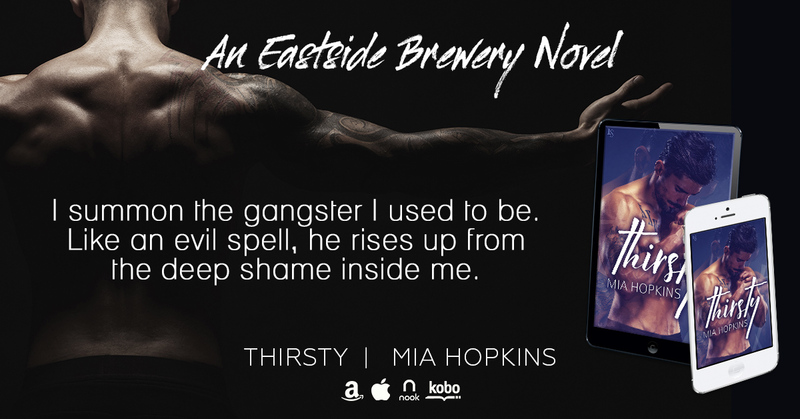 Having recently served time and now trying to keep his nose clean, he realizes that the gangster life is not for him and that he wants to be a better man for Vanessa..if only it were that easy, but life never is, is it? I fell deeply for Sal aka Ghost and wanted to see him pursue a better life with Vanessa by his side. He has a hardened body and facade from serving time and being a part of the ESHB but inside he is the best kind of man and loves Vanessa with all he has…his muscled body and soul! Vanessa Velasco was supposed to be the smart girl that got out of the rough neighborhood but when life gives her love with a gangster that doesn’t make it that leaves her with a beautiful little girl to take care of, she finds herself still living on the Eastside as a single mom struggling to make it. So the last thing she needs is a beautiful man from her neighborhood to show up and rock the very foundation of both her body and her soul…which is exactly what Sal does! 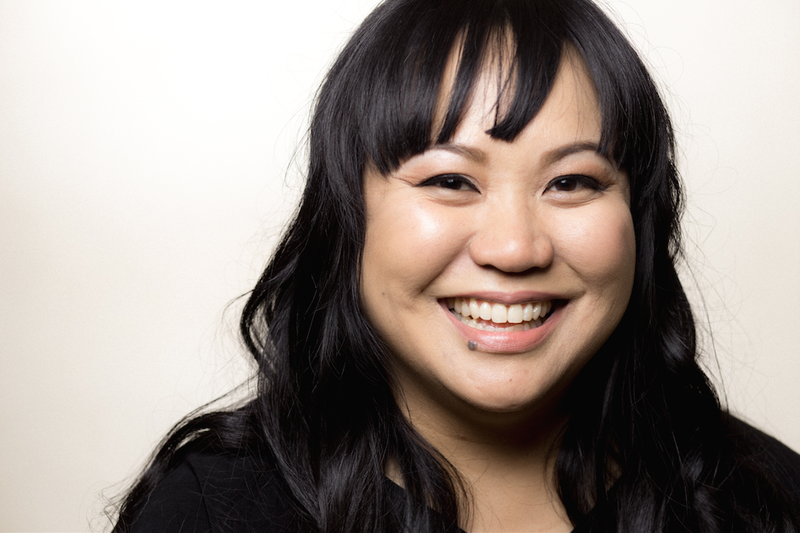 Vanessa is heroine that shows us the true meaning of tenacity and what being a fierce woman with a vulnerable inner shell looks like. She is strong on the outside with a broken inside that only Sal can help fix, even if she thinks she doesn’t need a man, having someone to love her and support her in every is exactly what she needs! 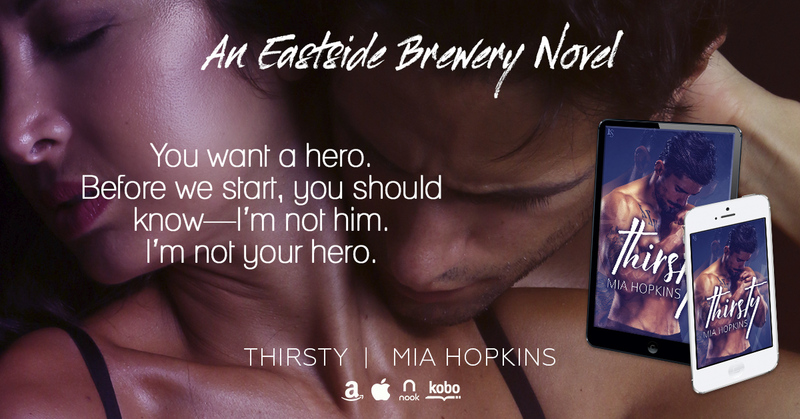 Mia Hopkins delivers a scorching, heart gripping beginning to the Eastside Brewery series that shows us that love can conquer all! I highly recommend Thirsty for a glimpse at heartache and life as a gangster. 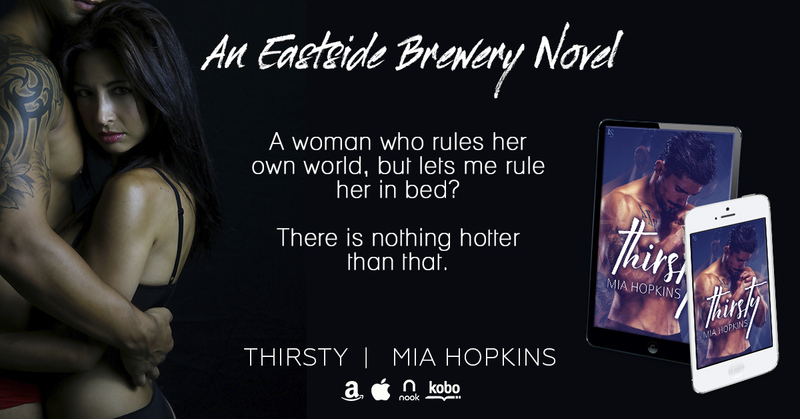 After falling so deeply in love with Mia’s writing and still left with a few questions at the end of Thirsty, I cannot wait for her to create the next. Until then I might just have to saddle up and get cozy with some of her cowboys in her Cowboy Cocktail series or soak up some sun in California with her California Kings! very top, our carriage swings back and forth before it goes still. or watching TV or having dinner. deep breath but doesn’t say anything.